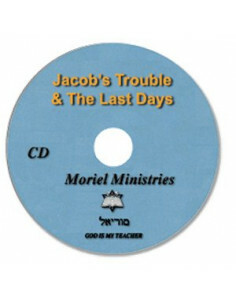 This teaching takes place in Israel, as Jacob is on tour at the time answering the questions : 1). Was Peter The Rock? 2). Was Peter the First Pope? 3). Sequel to the Rise of the House of David/House of Saul. What to expect before God moves ahead with the new churches to replace the declining ones. This message examines what is happening to the Western world as a Judeo-Christian worldview mixed with a Hellenistic (Greek) worldview.